By now, three quarters of the free world know I have been growing tomatoes on my terrace. No big deal you say? Well, I am not known for my green thumb and also, I LIVE IN THE DESERT! So now, the tomato vines, tended with love during our short and sweet Doha winter, have started to bear fruit. What to do with this bounty? 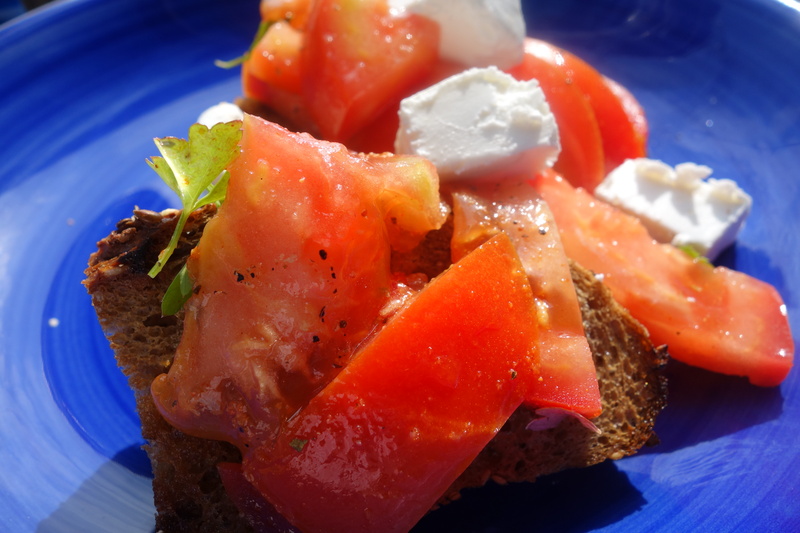 Today a friend passed by for coffee so I whipped up a quick Middle Eastern style bruschetta. I used one of my favorite cheeses, a labneh from Laiterie Jarjoura in Chtoura, Zahlé, Lebanon. It is a famous mountainside stop en route to Baalbeck and the Bekaa Valley. Their labneh is famous in the region and now they are exporting it. I found this in my local Spinneys supermarket. The thing about loving in a country that imports 90 percent of its food is that you sometimes forget what fresh food tastes like. 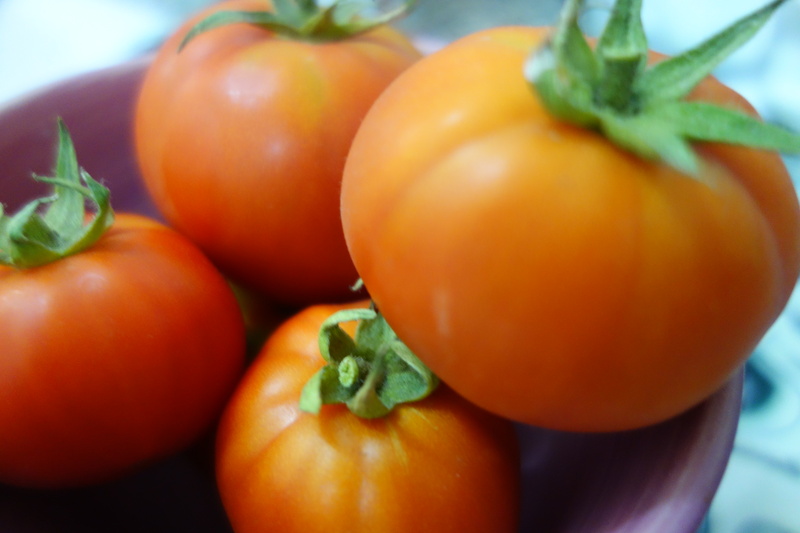 These tomatoes, grown without fertilizer or pesticide literally in pots on my balcony reminded me of home. They were bursting with flavor. 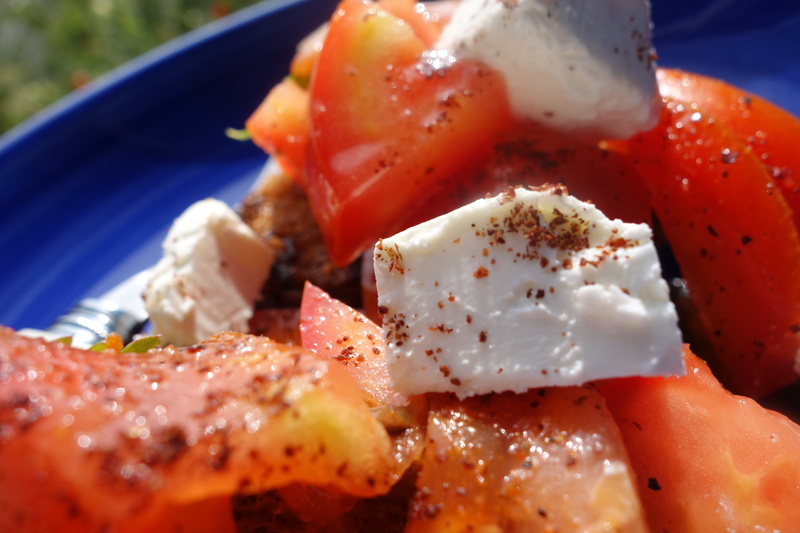 I chopped them and tossed the pieces of tomato and cheese with garlic infused oil and sprinkled with sumac before serving on a toasted grain baguette. the cheese itself it me took me right back to Lebanon on a summer’s afternoon. 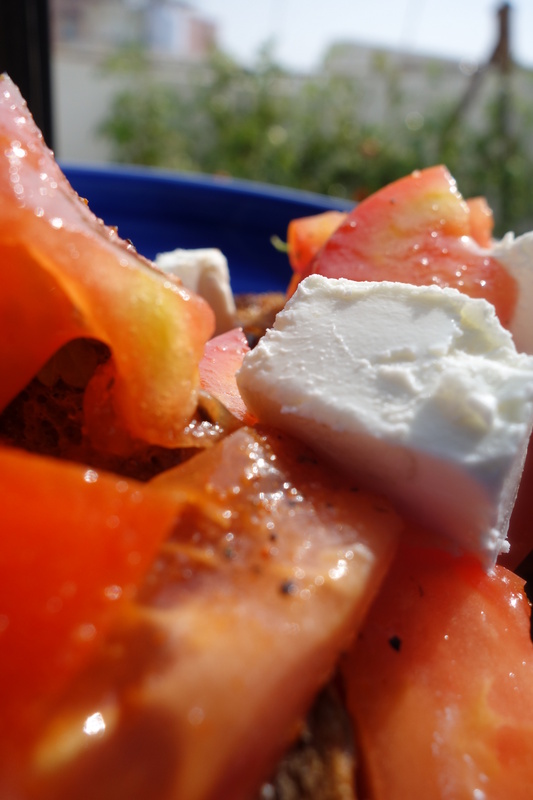 It was creamy and salty and offset the tomatoes perfectly. The sumac added a touch of citrus. I now have an abundance of tomatoes and a rapidly approaching scorching summer. Any suggestions for tomato recipes and jams gratefully accepted!